Q: You never use footnote references to back up your posts. A: No, because I write and rewrite conscientiously to make sure the posts only come directly from my experiences, with the utmost integrity and absence of contamination from others’ experiments, experiences, ideologies or mythomanias. The experience of Reality demands absolutely nothing less, and I obey to my fullest capability. I also attempt within my skills to manipulate readers into their own experience of the subject because personal experience rather than secondhand reportage is the way of Reality. However, other reports and opinions on spiritual experience, particularly from established scientists in the field are posted separately under their names, sometimes with my comments from my spiritual experiences. Who can become a Mystic? No-one knows. The Mystic Experience of Reality (MER) is spontaneous if my experiences of MER and the teachings of some gurus and mystic texts throughout the ages are anything to go by. Mystics don’t exhibit any human attribute, mentally or physically that would qualify them for the experience(s) of the phenomenon; not age, gender, culture, epoch, education, religions, cults, faith, belief or hope or any other human experiences. MER shows no signs of being human. There are scholars who are so steeped in the study of modern and ancient works on the subject (including the 12,000 year old Visishta for example), they can write dozens of best selling books about MER that can give the honest impression they have experienced MER when they haven’t. Modern spiritual teachings are also hopelessly wrong when their lack of MER causes them to go off topic by teaching that MER’s objective is to make people better human beings. It isn’t. There are far more important things in Reality than being merely human. While it is axiomatic, automatic that humans will, in human terms, be better human beings after MER or association with mysticism, even without experiencing it, the Reality of MER has nothing to do with humans especially. It is caught, not taught. It can’t be evangelised or proselytised. You can read the “sacred” texts in vain. If you are not called by MER – you can read the Bible backwards and forwards in any language you like but it won’t reveal its spiritual content. The key to doing that is MER. We can’t work on Reality, Reality works on us. And Reality’s ways are not our ways. Anyone, apparently, if they experience MER. It is not a western phenomenon. It’s universal. Can drugs and alcohol/caffeine support or hinder my MER? Once humans adulterate their natural state they are impeding the spiritually evolutionary process of Reality. Is Mysticism a westernised religion? Mysticism is not a religion. Religions are human constructs – ethical and moralistic, not mystical. Religions are incompatible with the personal revelations of the experience of Reality. Mysticism is a universal experience. Dr Richard Bucke* suggested it is cosmic. Physicists’ jargon is just another way of talking about the Reality MER’s reveal. Google “physicists on mystic studies”. What’s the difference between Mystic and Mystical? The mystic is someone who has experienced MER! Some people confuse the word mystical with the supernatural, “spiritism”, magic, primitive esoteric practices, pagan rituals, witchcraft. “Mysticism” is a human word that describes the experience of the existence of all things known and unknown. Aptly, the etymological root of the word is the Greek “to conceal” according to Wikipedia. Top 10 Books/Websites on Mysticism – who wrote them and who are they for? Google “Hindu mysticism”, “Buddhist mysticism”, “Islamic mysticism”, and “Christian mysticism” to start an avalanche of old and new works about mysticism, bearing in mind the term “mystic anything”, i.e., all the above categegories, are oxymoronic because mysticism doesn’t belong to anything. It is of itself, from before time to after time, before and after human existence. There is no such thing as Hindu mysticism or Christian or any other such mysticism. Sadly most of these categories also imply mysticism describes a phenomenon that is purely anthropological, human, for and about humans. It isn’t. We are Reality but Reality is not just us. How do mystics spread their message? The experience is for individuals. There is no mystic public message as such. 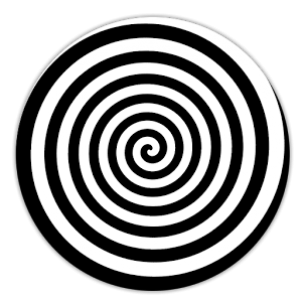 Mystics simply report a phenomenon they have experienced, the main points of which are basically a version of the same in all MERs. The phenomena is impossible to describe, but is always accompanied by a sense of intense joy, total acceptance (i.e: love beyond mere human love that is based on lust, anger, greed, attachment and ego), oneness with all existence, complete understanding. The experience is the beginning of the mystic’s knowingness, wisdom. MER, once experienced, is an ongoing direction of the individual’s process. Mystics can attempt to spread that experience to humans in the usual human ways – speech, writing, videos, books, blogs. But such messages are only the menu, not the food. Such messages cannot nourish any more than a menu nourishes without the experience of ingesting the food. MER is the real nourishment. It can’t be transferred from books. Do mystics ever find each other and start a life together? (get married, have children). Mystics, being part human, makes this likely but relationships have nothing to do with being mystics. Many religions warn against attachments being a distraction from the spiritual. There are consequences. Can you teach your children or raise them to be ‘mystics’? MER is spontaneous, caught not taught. You can’t gift it. It’s protected from the merely curious or well intentioned by the simple expedient of a password. The password is, “experience” – personal, individual experience of MER..
Are there any associations I can join to support my MER? If you’re not careful, yes. Watch out for monetarised lust, anger, greed, attachments and ego. MER comes to the individual, not groups or followings, attachments like cultures, nations, ideologies, politics, family – nothing human. Reality is enough. Do mystics believe in life on other planets? In God? In the after-life? None of these human preoccupations came up in my MERs. It seems to me from my experiences of MER we are in an infinite process of which being human is just a part. Do mystics celebrate birthdays and “religious” holidays? Not if they can get away with it. Ordinary humans notice though, so I suspect most mystics try to fit in with the present state of the human condition, some more easily than others. Mystics tend to keep to themselves and avoid dissension in what to them can be an overbearingly expectant, challenging, primitive human setting. I had spontaneous yearly experiences of mystical reunions with Reality from about 15 to 35 years of age. I kept them to myself for nearly 50 years. They recreated me from a who to a what and gave me a sense of having existed from the beginning of all things to the end of all things; of belonging; and of “everything belonging to me” that others describe as “oneness”; an overwheming liquifying of my matter into pure joy; a profoundly thankful humility; a disappointment in not finding “God” there; a sense of knowing everything; of not existing anywhere but in the experiences; of knowing real reality of existence is the Reality I was experiencing; the frantic helplessness of desolation, of abandonment as each of the experiences ended. I was infused rather than taught or shown or guided. I remember there was nothing to see, hear, smell, physically feel, or think. The reason I was dumbfounded and deeply disappointed was I thought the message came for someone else. I looked around but there was no one else to see. I was baffled for years over that message because I had not asked or thought of a question to which that might be the answer. Another time, I was levitated out of my body. It happened without me noticing. When I did notice it seemed quite natural. I was overjoyed that God was ridding me of my body to take me up. Then I was bitterly betrayed on looking down to see my body still there about 15 feet below. My conclusion now is there seems to be a Process into which I have been drawn, rather than “God”. This Process is nowhere near as limited as the human word “God” implies. It is benign, caring of all creation, guarding, guiding, aiding and comforting, a constant seemingly natural state of unending contentment, peace, tranquility, humility, gratitude, awe and joy. But it is not about making me a better human, though that, I think I can presume, is automatic, axiomatic. We are all more than merely human. My sense of personality, character, body, mind, intelligence, intellect, did not exist in my MERs, nor did I miss them, expect them or need them. I came away with the impression human bodies and brains die, but their spiritual knowingness become absorbed, added into this non-material Process of Reality beyond infinity that never dies. Reality seeks, but does not seek body, brain or mind it seems. After MER, humans have no need of the anthropmorphic falsehoods of faith, hope or belief – after MER they KNOW. They are one with the Process, no longer needing gods or “God”. The experiences are fulfilling and keep being fulfilling after they’ve gone. I was never given to believe humanity or individuals can invoke or influence this Process of Reality, either. In fact, being only human might be the reason so many humans have not yet had the experience of MER. Human attachment and egos are two strong deterrents among the many human attributes that come between us and this fulfillment. The experiences were fulfilling beyond all ordinary human experience, imagining or knowledge. Reality seems to be the alpha and omega of everything, all knowing, a fundamental existential of being that just is, a given that can be taken for granted, does not need to be named. In Reality there are no names: everything just is and all is well. And I was and am that. Between these experiences I toiled privately at the agony of being partly human despite the experiences’ development and continued effect on me – the continuingly joyous but alienating illumination of Reality and my true nature. The stress of this growing alienation from “manmukh” – all things human – affected me severely. The energy of the world, of the human spirit, is not compatible with the development of the spirituality of the ultimate reality of the Mystical Experience of Reality, (MER), in my experiences. Neverthless, at times the process got so desperate I developed and finalised the following secret plea to be rescued. Indifferent to my day as to my night. Save me soon Lord, make me thine. Its contemplation leads you to my glory. Are the lessons of your life, your grace, your passion. (Nowadays I wouldn’t use the words “God”, “divine”, “faith”, “Divinity” or “Lord”. And I would call “the light” Reality, such a Light being a unique part of Reality. (PS: The word “faith” has been bothering me. It signifies lack of real spiritual experience. So as I returned to this poem with my doubt about the rightness of the word the real word arrived. So I have deleted “faith” and as you will see, have inserted the more meaningful word “grace”). “I don’t think you would get much out of me in your human quest to thrive and survive. “My interest in being merely human is waning by the hour nowadays as a quick read of my Blog, mysticexperiences.net will show you, unless you have a proclivity for such experiences, in which case you will understand my existence better by looking at the 6,000 studies of people like me made by Oxford University, now archived at Wales University. “Without understanding what I am, you and I would only get mired in human banalities, much of which you seem to be intuiting yourself through anyway. “You sound like a wonderful person. I send you todos bendiciones, todos! Throughout this Blog there are references to free will. Does the human race have it? From my experience of pure consciousness in my mystical experiences of Reality there was no need for such a human concern as free will. It did not exist there. In Reality, everything just is, in one satisfied determination, without further necessities. Consideration of free will is only a human occupation. It does not need to exist in Ultimate Reality, where there are no names even, where nothing outside Itself exists, where everything in Itself is in place and All Is Well. Despite the appearance of unrelated advertising subjects on our pages, mysticexperiences is NOT monetarised. However, as per the standard agreement with WordPress, that hosts us free of charge, WordPress sells advertising space on mysticexperiences and gets ALL the income. Now, after two years, it looks as if we have become valuable as an advertising medium. The site has grown in readership by the thousands. It is read in Canada, America, Mexico, India, Nigeria, Portugal, Rumania and Scotland and is expanding. So presumably this is what qualifies us as valuable. However, while glad for WordPress that their investment of expert services are beginning to pay off financially, as the advertisements so far have nothing to do with mysticism we shall keep an eye on them to make sure they don’t begin to pollute our subject with more inappropriate messages. If they do we can always say goodbye to WordPress and find another web host. ‘Just thought this might be a good time to reassure you. WHAT’S THIS WEB PAGE ALL ABOUT? A reminder. However, if you are called as a genuine Seeker then it is axiomatic, automatic, that you will become a better human being whether you read or Follow this web page or not. Sincere familial blessings to you. This is a BLOG for Seekers and those who have had the mystical experience of Reality (MER) and are humbly, joyfully dedicated to it – bringing their remaining personal humanity to it. IS THIS BLOG COMING TO ITS NATURAL END? This Blog is coming near to its end I think. It seems to have fulfilled its primary purposes. I started it because I wanted to clarify and understand my experiences of what I call, The Mystical Experience of Reality. I wanted to research and write about others’ experiences of the phenomenon. It’s done all that and a lot more I hadn’t expected. In fact, I had no idea that what I thought was my personal spiritual “condition” was so universal and had spiralled into such an important place in physics, theology, and philosophy. The condition of MER, is now internationally, historically widespread, known, and studied in depth. So much so I’m almost at the stage of NOT putting the 100 or so posts from the Blog, all the comments and contact material, into an edited, coherent narrative like a book. Oxford University entrusted its thousands of case histories on the phenomenon to Wales University. The archive there has grown to over 6,000 cases. They have sent me a questionnaire to add my experiences. There doesn’t seem any immediate need to do anything more. It’s not as if MER, or what Christians might call the Holy Spirit, can be evangelised. The experience is caught, not taught. I’ve also concluded the ego is now the only thing that would compel me to organise and write the Blog into a book. Thankfully, my ego seemed to have lost that part of ego years ago, when my MERs began. And anyway, most importantly, the human race has not been abandoned. It is in good hands with or without such a book. All is well. I’m still having problems with the proposed book on the Blog’s findings. I’ve come to the conclusion that as the experiences I had were spontaneous, they can’t be evangelised by humans, can’t be passed on. In my experience there seems to be some nonhuman selection of mystics in play that’s impregnable to all interference with its intent. So this is why I “know” I’m not a teacher or Master. There seems to be no need for that, especially as I’m a Contemplative and Quietist*, (through no persuasion of my own on either subject). I now also know much of the ancient eastern literature supports this position (though it would make no difference to me if it didn’t, owing to the strength of my experiences of M.E.R). Some modern writings support the notion of gurus but not on any evidence that I know from my own M.E.R. I also “know” the human race is not the be all and end all of Reality. I see that even some scientists agree about that. Some Sufi experience also reveals that humans are merely in process along a path of evolution to become pure spirit. Presumably the human race will then become extinct. So, here’s my dilemma: why write a book about M.E.R? The process seems to be satisfactorily in play – all is well. Why should I interfere even if I could? May I ask what your mind tells you? * Quietism: A requirement to withdraw from all human effort and practice passive contemplation of Reality. “Well, you have to want to do it, not feel that you should. “It has been a dominant part of your psyche for most of your years, so it is understandable that you would seek to express for others your thoughts and experiences. There’s a story there, the tale of how you discovered this essence of your being, the acceptance — and possible initial rejection — of this phenomenon. Your intellectual travels with it: a metaphorical briefcase into which you were compelled to peek and the slamming shut of the lid, in consternation, fascination and, perhaps, even fear. “And then, eagerly opening it and breathing in its alien odour. A book which offers insight and dwells as well on the skepticism and wonder expressed by those few to whom you explained what may have been unexplainable. “And your attempts to articulate its mystery — to yourself, and occasionally to others. HUMAN SPIRITUALITY OR REAL SPIRITUALITY? Much of the uses of the word “spiritual” are not about the real spirit that permeates all existence, human or otherwise. The use of “spiritual” is only about the human spirit; emotion, imagination, hope, faith and belief, morality, ethics and mythomanic theology. All this is mind-stuff, superficial, ephemeral and not spiritual in the fullest sense. This common use of the word implies the Spirit of Reality exists solely for mankind when it is far beyond any human to even imagine. Spirituality is not about being better humans, though being a better human is a by-product of the Real thing, and is automatic, axiomatic. Real spirituality is far above these false gods, even” God”. Real spirituality lies in the Experience of the Reality in which all things, even humans, live and have their being, as even some of the religions have repeated from their founders’ experience but without understanding. True Seekers will steadfastly plough past the mind stuff of myth, dogma, falsification, magic and phenomena to the ever higher states to which true Seekers will always be drawn. All the rest, as scholars and even scientists are beginning to discover, is false. Humans are being drawn to an understanding of the Reality mystics have already experienced. In the meantime, the rest can pray (meditate and contemplate), read, and be patient. Writing is important too. It has been said that you cannot really know everything you’re capable of knowing until you write. A new Blog for those who have experienced Reality and are coming to terms with it, as well as for scholars and scientists and those others who are studying the phenomenon. I am a mystic, a contemplative and a quietist. I had spontaneous experiences of what I call “Ultimate Reality” from the age of about 15 to 35. I have been absorbing the subject by osmosis ever since, as well as by prodigious reading on as many known aspects of the subject as I have been able to find. Before that I was a hapless members of the Church of England. Afterwards, I was a deliberate Quaker for many years, then passing a year’s observances, was initiated into a Sufi Knowledge School. So what this Blog is about is reaching out to those who have been taken through the obscuring veils of normal human experience into the Reality of Existence, also to scholars, and those who are studying the phenomenon seriously. Please click on FOLLOW for updates on postings and comments. “Good words and thoughts to go by. But my Blog is aimed not only at those who have had the Experience of Reality, but those who study it, scholars and scholarly readers. Scholars are a very sensitive lot, with strict thinking disciplines and presentations. Humour has to be very carefully used, in case the humourist is labelled, “flippant”. Humour is best avoided by ​”noobies” in any context scholars consider to be their domain. This is an ironic state of affairs because those who have had the Experience are noted for their profound sense of humour; they take human affairs very lightly and the presence of their like has been noted in the appointment in the courts of the wise as “jesters”. Very often they are great personal advisors to emperors and kings, even presidents. Nevertheless, the truth when wrapped in “flippancy” can be even more cause for offence to those who are tenured to take the human condition seriously.